So… I’m new to this board but very glad to have found it! My wife and I were approached by a business friend of ours whose daughter is pregnant. Her daughter has decided that she is unable to care for the baby and wants us to adopt. Naturally we are through the roof with excitement but also so very incredibly nervous at the same time. The birth mom has some legal issues and is on probation. We’ve been to the doctor with her and have helped her get started on her insurance and we found out just last week that we are having a little girl. When we first met the birth mom she said she did not want to know the gender but later changed her mind which is fine of course. Now that she knows it’s a little girl she’s having a really hard time with her decision. Our birth mom and her mom do not get along in life very well it seems. Our birth mom already has a two year old that is being raised by the grandmother. We had a conversation with our birth mom this evening to check in with her and see how she’s doing, and to just let her know how awesome we think she is and reiterate the openness of this adoption. Our conversation turned into her confessing that she is really nervous, cries all the time since she’s found out the gender and isn’t sure how she’s going to give up this baby. I’m trying to reassure her that she is in fact not giving up her child but allowing her child to be raised by us. We are also trying to reassure her that she will have contact with the newborn and we will be completely open to visits and what not. Has anyone else been in a similar situation as ours? We are soooooo nervous that she’s going to change her mind at any time. Our birth mom has no place to live, is on probation, no driver’s license and no resources at all. I know we can’t point that out to her, because that’s just cruel but it is so hard on our end. All of this uncertainty is so stressful and we are so nervous after this conversation this evening. Does anybody have any kind of tips for suggestions for us to keep our sanity for the next three and a half months until our baby is born? Any ideas of what we can say to our birth mom to help reassure her that we are all in this together? We are due at the end of July. Thanks for any input it’s always appreciated! I’m trying to say this gently, you are way ahead of your ski’s. At this point you are only matched with an expectant mother who is considering adoption for her unborn child. Once her child is born and she says hello, she will have to reassess and remake her decision once again. Until the papers are signed and any revocation period is over the baby is not your baby, you aren’t doing any of you any favors by thinking this way. That baby she’s carrying is her child, and she’s not and will never be your birthmother. What does the expectant father say? While the previous comment was a bit harsh, there’s definitely some truth. Are y’all working with an agency? I’d highly recommend working with an agency. It’s called directed adoption when you already have the birth mother identified. American Adoptions was wonderful for us. They know how to get the birthmothers the help that they need (Medicaid and other services available), and how to do their best to make sure that the birthmother makes the best decision for her and sticks with it. 20% of birthmothers decide to self parent once they have the child. They also support the birth father and make sure he has made this decision, too, and won’t be a hindrance. They also help with all of this anxiety you’ve got going on. 😀 Good luck! The father is on board and will sign papers. He has no interest in parenting. I fully understand that this baby is not ours until the revocation period has ended. We are not using an agency, we are all 3 doing this on our own, together. We are going to offer to get her and us in counselling to help. I appreciate the responses. I think I’m just looking for an outlet to vent feelings and frustrations on our end. She has every single right to change her mind, and we are acutely aware if that. That being said, its still impossible to not become invested in this amazing and hopeful gift. Our adoption experience was a similar roller coaster ride. We met an expectant mother through a friend of a friend. We were signed with an agency (had been for 3 years) so we had all our homestudy and such done. However, once we were matched with the birthmother of our daughter, we went straight to an adoption attorney. The expectant mom (emom which is what she was until the tpr) lived in our town and we became very close to her. This was a blessing and also a humongous emotional responsibility. Because she was close to us, she told us all of her thoughts and doubts. I had to be sooo careful to never try to sway her decision one way or the other. It would kill me every time, but I always told her that we would support her no matter what she decided. In the end, I didn’t want her to give us her child unless that was really what she wanted. We offered to provide her with counseling and she declined. In addition to our own relationship with her, our mutual friend would report to me when the emom was dealing with tough emotions. Honestly, these are all things I shouldn’t have known. If I had been paired through an agency, the agency would never have reported every minute detail to me. It was the hardest 7 months of my life, and the most exciting. You are new to this board. Expect to get corrected on your language (birthmom vs expectant mom etc.) 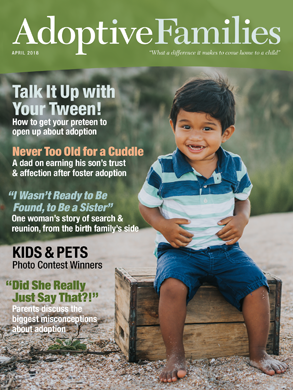 Expect to not get straight forward support, but rather people educating you on the reality of adoption. I remember posting on this site when I first started trying to adopt, asking for support, asking for positive stories. And there was so much negativity that I would end up in tears. Most people are trying to help by giving you a realistic picture of the expectation. Don’t take it personally. Adoption is an amazing thing. It does happen. It will happen for you. I just checked in on my sleeping daughter, 2.5 years old. I knew I shouldn’t open the door because the floor creeks and I risked waking her. But, I wanted to see my baby, to pull her blanket back up over her and whisper that I love her. She was worth every single second of waiting and every heartbeat skip of doubt and fear. As an adult who was in that position as a baby, I’m asking you to please reconsider. I’m A FFY and so my adoption didn’t go the way you think yours will, but still it always hurts to think you mother gave you away to strangers, even if they are nice. You say you will be open to visits and “what not” but what is the “What not?” And as the person who was given away to be raised by strangers (and yes, then they gave me back which is how I became FFY) it hurts me to read “contact with the newborn” like the “newborn” isn’t a person but just something you are just trading or something. Please understand that children grow up. Even if you raise them and you love them and they love you it isn’t all right to push a mother and child to be separated so you can get what you want. If you really care about this mom, please leave her alone until after she gives birth and after she has her baby if she still wants you to raise it she will tell you. Oh Thank you. I don’t know what services were offered to or available to your mom. We have three children through domestic adoption, and yes, we were in a situation very similar to yours, and it ended that mom chose to parent. I have a friend who also had a situation similar to yours, and bio-mom placed the baby with her. I am not trying to be mean, but you truly need to listen to everything you are hearing. This e-mom is feeling conflicted, she does not sound ready to place a child for adoption, and the best thing you can do in this situation is to try and get her to a counselor where she can evaluate her options. I don’t know if she will ultimately place the baby or choose to parent, no one does, but you need to give her the space to make the decision. We had several false starts and two truly heart-breaking failed matches on our road to parenthood, so I have some idea of the rollercoaster you are on. And while you may intellectually understand that this e-mom has the right to parent, that is not how you are operating emotionally. I don’t blame you; when you want so badly to be a parent, it is impossible not to invest your whole selves in the match, and impossible not to think of this baby as “your baby.” The harsh reality, however, is that you are prospective adoptive parents who may or may not become parents to this baby. When we were in the midst of our first failed match, the attorneys on both sides tried to warn us about the chance of the bio parents changing their minds. But the situation was so perfect, so amazing, had literally dropped into our laps, I would not even consider that possibility, this was clearly “meant to be”. I am not being unsupportive, on the contrary, I am trying to help you see that you cannot control this situation. You can help this young woman find her way to an impartial counselor, and, frankly, even if she does decide to parent, it will be better for you and your wife if that happens sooner. Yes, it will be devastating, and you will wonder what you could have done differently, and you will want to blame something you said or didn’t say, something you did or didn’t do, because that would mean you could do better next time. Being a prospective adoptive parent means having no control, once you agree to the match you just hang on until the end, which may or may not turn out the way you want. Our first failed match happened three months before our first child came home. I thought that I would never recover. My husband didn’t want to try again. Then we got a phone call, and two months later we were driving home with our oldest. What I learned on this journey is that if you keep trying, eventually you will become a parent, it just won’t work out the way you thought. Best wishes on your adoptive journey. I truly hope that everything works out for the best for all involved. That’s not true and not fair. If you adopt her child she will be giving it up. You will be the legal parents and she will have no rights. If you want to raise the child without her giving it up you would maybe agree to be the legal guardians. First I want to congratulate you and your wife on seriously considering and deciding on being ready to adopt.There are so many children who desperately need homes. However that said I totally agree with all the posts above. I am going to be very forthright not from any desire to be mean but just the opposite. She is not “a birth mom” until she has had a child and again after birth made the decision to give her child up, and legally done so. For now she is an “expectant mom” and it is her child and she has the right to make each and every decision about the birth, the child, etc. She will never be “our birth mom”...like a possession. She does not belong to you..
She is not “our girl” - definitely. She is the expectant mom’s child until she legally given up and adopted by you, if she is.The mom may reasonably decide that the child would be better off being raised by her grandmother, or another relative of hers or the fathers. You are not “due”. Again this is not your baby, it is another persons at this point. The expectant mom is right - she IS talking about deciding to give up her child. Do not under rate the severity of her decision. This is not a communal child raising project. You are also NOT “all in this together”. She is going thru significant stresses, and problems that you will fortunately never have or fully understand. You, if this or another adoption goes thru, will have your own issues and problems to deal with! This way of allowing, and honoring difference is very important once you have an adopted child too, so best start now. All this correct language is not just an irrelevant pain, it helps the process be one of respect, free of coercion, and major disappointments, as much as possible. DO NOT EVER try to convince her or anyone to go thru with an adoption. Help her by getting her knowledgeable counseling and help to consider her options on her own, without you there. Help her to get support to work out resources to make her life easier…housing, food, transportation, job or school etc. Anything you can do will only benefit her, her child, and your family in the long term, whether or not she does go thru with the adoption. My best suggestions to keep your sanity would be to go thru adoption classes. Either thru DCF or a private agency. Read prolifically. Attend adoption support groups. Talk to others who have adopted. Hire an adoption agency, because if you have no agency working with you, you will have no support thru out the process and after the adoption when you will definitely need it most. I think it is great that your intentions are to have an open adoption, and continue to keep the birth mother involved with the child. Once you adopt, the child’s birth parent many times, becomes like an extended family member. I wish you the best for this child especially, as well as all involved. I’m new to this group and I’m wondering what ultimately happened. Hopefully everything worked out for the best. I am in a similar situation now. Someone approached my husband and me about adopting a baby who is due in a few weeks. My relationship with the expecting mother is text-based at the moment. I am cautiously optimistic. Having two bio kids already means that it won’t be the end of the world for me if she decides to keep her baby. I’m just wondering how this story turned out. I feel badly for the man who originally posted because I know how it feels to be new to this process and find out you’re using all the wrong terms and phrases. Been there, done that. We’re all just here trying to navigate some very unfamiliar waters.